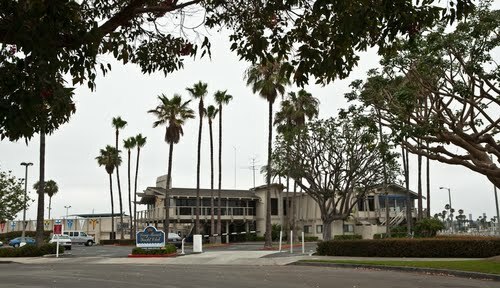 Our Annual Meeting will be held at 12 noon, Saturday, June 15th at the Long Beach Yacht Club, 6201 E. Appian Way. 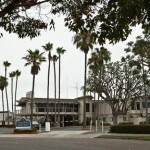 Long Beach, CA 90803. Click here for directions..
Sea faring has always been accompanied by music, and our ancestors likely spent much of their Virginia-bound shipboard weeks singing 17th century English folksongs. You will be able to enjoy some of them at our June 15th meeting; something that you and your friends will not want to miss. We will be most fortunate to be able to feature the talents of Simon Spalding, one of the best-known interpreters of traditional maritime music, His lecture-concert will include what was sung, played and heard in Jamestown and early Virginia and on the way. He has performed at festivals all over the globe. 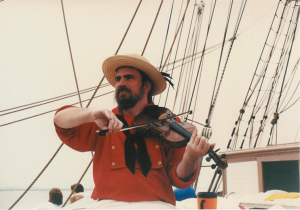 This talented speaker and performer will sing sea chanties, tell us about voyages to Jamestown and the life of a colonial sailor, tell us some of the history of maritime music, and play several instruments. Though Spalding is best known internationally as a musician, he has worked as an educator, museum director, and a consultant for historic properties throughout the U.S. and in Britain, France, and Scandinavia. He has held management positions at Tryon Palace, the colonial governor of North Carolina’s home, and elsewhere. Spalding received coverage from the National Geographic and other worldwide media for reviving the Afro-Caribbean Jonkonnu Festival in his adopted town of New Bern, NC. He has sailed square rigger ships. Spalding’s perspective on maritime history comes from decades of studying the culture of the seas and from the experience of someone who has practiced traditional arts and skills. A native of California, Spalding began his career as a Park Ranger at Alcatraz Island. Click here to learn about the interesting activities of Simon Spalding at his website. This entry was posted in 2013, 2013 Annual Meeting, First California Company, geneaology, Gotlieb, Jamestowne Society, Musical History. Bookmark the permalink. My dues are paid with the Golden State Company. Since I live in the middle of both meetings I would love to attend some of yours as well. I am certainly interested in the June 15th meeting and will send a check to Harry.